Kisimula Primary school has been operating for approx eight years, having been established by Kisimula’s church Pastor (Samuel). When the school began to grow Friends Reaching Out were able to work with Pastor Sam to ensure the continued operation of a school facility that had proven to be very successful and was desperately needed. Since that time it has always been the hope of all involved to build a new school facility on the charity’s land in Kisimula village. Recently we have been able to improve the temporary classroom structure but the vision is to build a quality permanent school that will provide primary school education facilities for generations to come. With 350 pupils the classroom block was in desperate need of replacement, being more of a windbreak than a useful structure. As you can see from the picture, when it rained it was almost impossible to continue to teach due to ingress of the rainwater. Despite the facilities the level of education at the school is exceptional and the exam results certainly reflect this. The school’s teaching staff, many of whom (including the Headmaster) were sponsored through their education with Friends Reaching Out, are university educated and fully qualified. 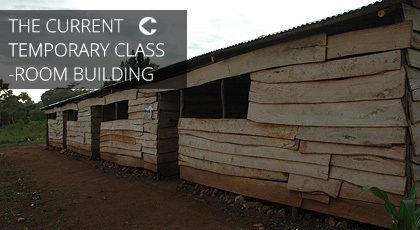 A new (but still temporary) classroom block has been built on the charity’s land. It is at least more weather proof and lessons don’t grind to a halt when the rain starts up. The plan now is to raise sufficient funds to build a school complex to accommodate all students and provide a safe and fun learning environment. 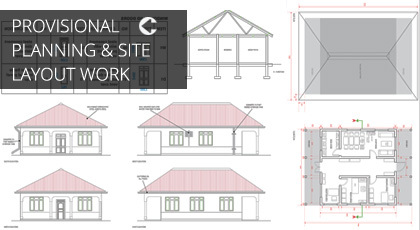 With the title deed for the school land plot secured we have been able to begin some provisional planning of the site layout, we have consulted with a selection of builders and have even levelled an area of the site earmarked for the new football field. 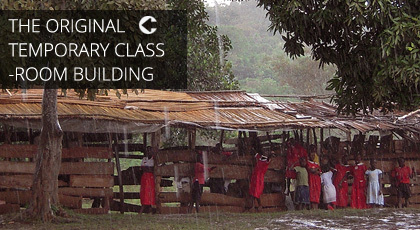 We hope to build a school to serve many generations to come. We’re investigating solar power options, rainwater harvesting and other technologies that will help with the schools operation, costs and future proofing. To date approx one third of the projected build cost has been received via donours and event sponsorship. If you would like to find out more about the school project please get in touch via out contact page. 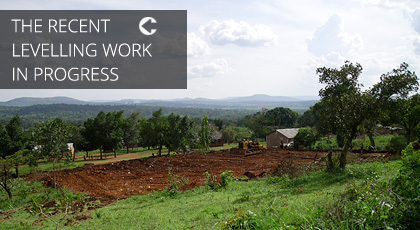 To make a donation towards the school build please follow the link below and specify that the funds are for the school build, in the message field during the donation process. Thank you for your valuable support.